Oh my god is that a fantastic car. The interior is lovely (for a Lotus, don’t expect leather everywhere). The clutch is light, but grabby and easy to modulate. The shifter is absolutely perfect and incredibly precise, with very short throws. The SOUND is fabulous, with just the right amount of supercharger whine at the right times. It’s the perfect weekend car. 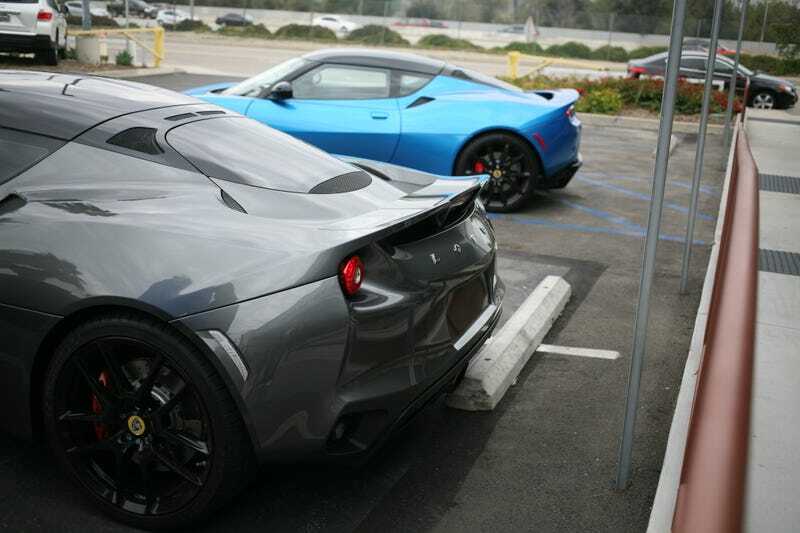 Of course, like any Lotus, it handles and brakes great as well. The only thing I’m not quite sold on is the front bumper. This most definitely didn’t get taken out on the street. At all. This was a customer’s 340R that the dealer had just restored. And what is this? This belonged to the owner of the dealer.